Face it – you live in a world of distractions, and some of them can’t be helped! If you’ve ever struggled to check all of the boxes on your to-do list or multitask to get everything done, you understand the difficulty of focusing on one thing when the world seems to be pulling you in a million different directions. It’s great to work on reducing your stress and extraneous responsibilities, but what about the things that you actually have to accomplish? Sometimes, the burden of work and daily life seems like too much to bare when you can’t even remember to go grocery shopping or set aside time to finish a good book. We live in a culture that praises busy and preaches that “more is more”, and while you can implement a good self-care routine and eliminate some extraneous distractions, you also need support to stay on top of your hectic schedule. If you’re not paying attention to your brain health, it will only decline as you age, and stress isn’t doing you any favors. To achieve optimum functionality and rocking brain performance, it’s time to start supplementing for your focus. “Brain fog” is a colloquialism that gets thrown around in the health community, and it implies a myriad of symptoms, such as an inability to focus, feeling “foggy”, or a lack of mental clarity when it comes to remembering important facts and figures. Brain fog can be alleviated with nutrition and lifestyle changes, but it’s not the only kind of mental block you might be facing. For many people who are already pursuing a healthy lifestyle, they aren’t looking for a complete overhaul when it comes to their focus. Rather, they want something that will optimize cognition and sharpen their mind, while supporting their energy levels along the way. That’s exactly what our product Focus IQ is designed to do, and Ginkgo Biloba, one of the primary ingredients, is a powerhouse that helps you zero in on your job in the midst of a busy day! While the ingredients in Focus IQ (and all of our products) work together to create a synergistic balance, ginkgo has unique benefits that make it a wonderful supplement by itself! If you’ve ever seen a ginkgo tree with its leaves twirling in the wind, then yes, this is the very same thing! Ginkgo leaves and seeds have been used in Chinese medicine for centuries, but the actual Ginkgo Biloba extract is made from the leaves of these ancient trees (1). They are one of the oldest living tree species, and it’s said that members of the royal court were given ginkgo nuts for senility (2). It is actually the most commonly ingested herb for brain health (3). But, don’t get too excited – eating raw or roasted ginkgo seeds can be poisonous and have a lot of nasty side effects (2). Interestingly enough, though ginkgo has been used and studied in medicinal practices for thousands of years, the National Center for Complementary and Integrative Medicine claims that there isn’t conclusive evidence that Ginkgo Biloba is curative for anyone health condition, but most other sources and studies tout the opposite. The history and positive results from studies with ginkgo definitely imply that it’s benefits are widespread (2). Additionally, it’s important to keep the concept of bio-individuality in mind when studying any supplement or herb; each person’s genetic makeup and environmental exposure is variable, so the effects of any one substance can have a range of results. What is Ginkgo Biloba used for? Ginkgo’s primary uses center around brain health, its antioxidant effects, anti-inflammatory properties, and its ability to boost circulation (3). By improving blood circulation, ginkgo can help improve concentration, memory, and cognitive clarity, while lessening the effects of Alzheimer’s disease. Increased blood flow also boosts energy and helps ginkgo act as an adaptogen to reduce stress and calm your stress hormones, cortisol, and adrenaline (4). Mood disorders, such as anxiety and depression, are kept at bay with the ingestion of Ginkgo Biloba, and its anti-inflammatory benefits definitely go to work to fight inflammation related conditions, such as fibromyalgia (5). Specifically, individuals who have supplemented with CoQ10 and Ginkgo Biloba together have seen the best results in combating the widespread pain and fatigue of fibromyalgia, which is classified as an autoimmune and nervous system disorder (3). In relation to the primary use of Focus IQ, ginkgo has been used to help treat cerebral insufficiency, which is marked by chronically low concentration, confusion, fatigue, and mood changes (3). Additionally, ginkgo has been used in clinical trials on children with ADHD, and while it did show positive results in lowering ADHD symptoms, it was not as effective as traditional ADHD medication, such as Ritalin (3). For women struggling with premenstrual syndrome (PMS), ginkgo has been used to treat these chronic and often debilitating symptoms. The results of a study on 85 women showed that Ginkgo Biloba reduced the severity of the PMS symptoms, but further research was required to make a conclusive statement on the efficacy of treatment (8). Because Ginkgo is an antioxidant, it fights free radical damage caused by poor nutrition, infections, and toxic exposure. Unlike certain supplements that only do preventative work, ginkgo is active in fighting the preexisting inflammation and also reducing the chances for more disease to thrive. Since this supplement has been used for centuries, scientists and researchers are always exploring new ways to incorporate Ginkgo for additional health benefits. There have been multiple studies on the potential anticancer benefits of Ginkgo Biloba, and more research is still emerging. Ginkgo has been used in a study on rats with hepatocellular carcinoma (HCC), which is a deadly cancer with a 5-year survival rate of less than 10%. 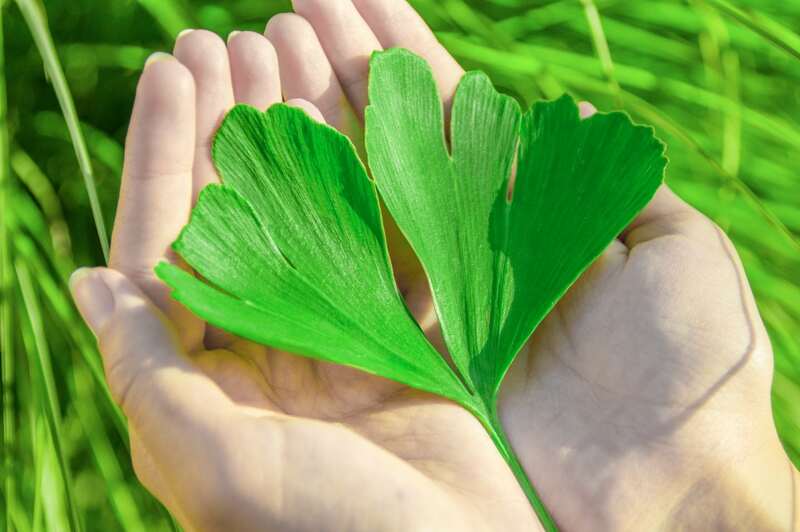 The study group was given Ginkgo Biloba leaves, and they showed significant improvement in the histological feature of liver tissue and supported the promising anticancer activity of this powerful supplement (6). In another study with rats, ginkgo was used to combat the effects of cisplatin, which was the first cytotoxic (anticancer) drug that has also been shown to have severe toxic side effects. The results of the study showed that Ginkgo Biloba extract could fight cisplatin-induced neurotoxicity and reduce associated oxidative stress (7). Additional anticancer studies need to be conducted with humans before ginkgo could be recommended as a supplement that reduces the risk and effects of cancer. On its own, doses of ginkgo can range from 40 to 360 mg daily, and side effects are typically linked to higher doses, especially if one is consuming a dose higher than the recommended value (3). Though it can be made into a tea, powder, or tincture, ginkgo is typically consumed as an oral supplement and has been shown to be safe in the majority of cases. Mild side effects include a headache, upset stomach, and allergic skin reactions. It can have a negative reaction with blood thinners, so elderly and pregnant individuals should talk to their doctor before consuming ginkgo (2). Because it can increase the chances of bleeding, do not consume ginkgo in any form in the weeks leading up to a surgery (3). Focus IQ contains Ginkgo Biloba, as well as St. John’s Wort, the amino acid L-Glutamine, Bacopa Extract, the amino acid L-Carnitine HCL, and many more ingredients that support brain health and positive vitality. Focus IQ can be taken 1-2 times daily both with and without a meal. After taking Focus IQ for 1-2 months, most individuals notice an increase in cognition and a sharper memory. It is a supplement that is taken for preventative effects as well, as supporting brain health requires consistency. Even if you aren’t suffering from chronic brain fog, you can always enhance your performance and mental clarity. The earlier you start paying attention to your brain health, the stronger your focus will be for the long haul. If you’ve been using Ginkgo Biloba or Formula IQ, tell us about it! Drop us a line in the comments or share the article with a friend who could use a little brain boost! Aydin, D., Peker, E. G., Karakurt, M. D., Gurel, A., Ayyildiz, M., Cevher, Ş. C., & … Dane, S. (2016). Effects of Ginkgo biloba extract on brain oxidative condition after cisplatin exposure. Clinical And Investigative Medicine. Medecine Clinique Et Experimentale, 39(6), 27511.